380/90R46, Fenders, SS Tank w.3 IN Fill, SS Boom, 100 FT., 20 in. Off Center, 2630 Display, LG SS Eductor, Hyd. 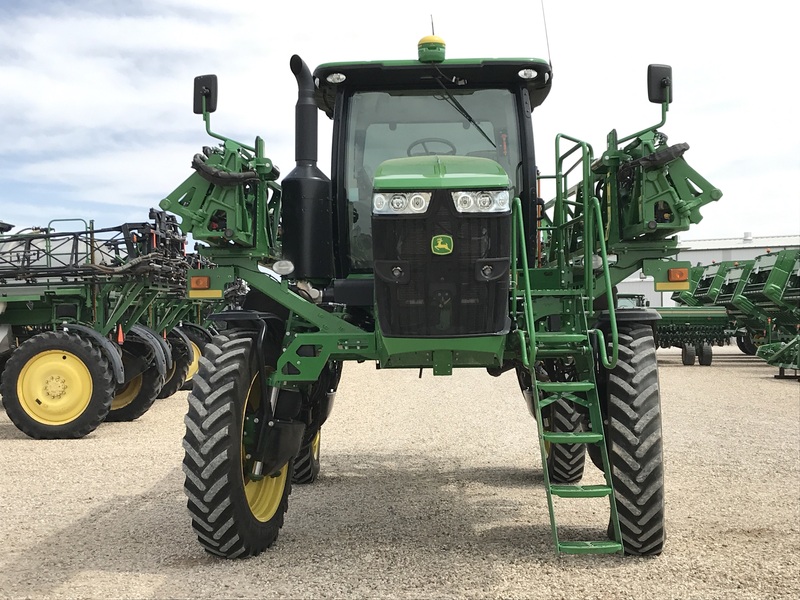 Tread Adj., Dlx Cab, A/T Ready, Auto Air Springs, Xnon Lights, Boom Return To Height, RH/LH Fence Row Nozzle, Wheel Motor, 4 In. Ext. 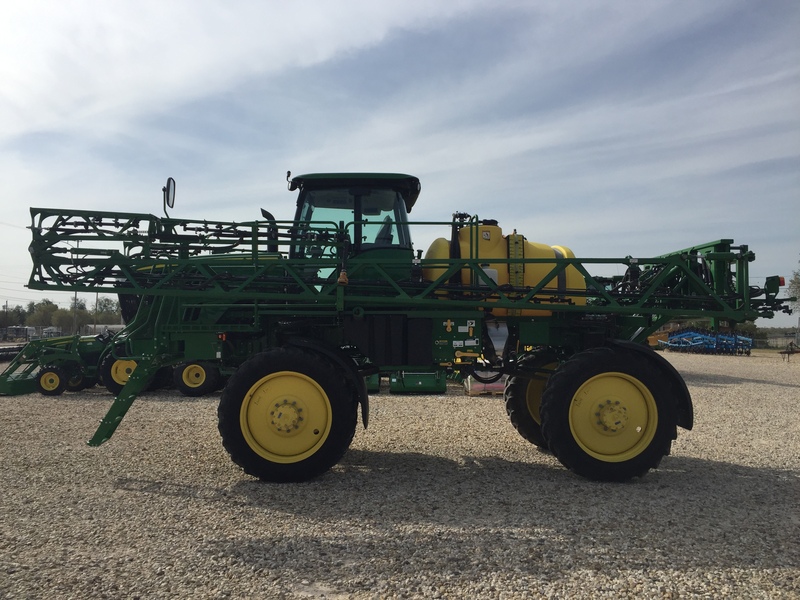 380 X 46 3-20%, 1- 60%, DLX CAB, AT READY, FENDERS, STD PUMP W/ SGL FLOW METER, SS EDUCTOR, 800 GAL SS TANK, 100FT SS BOOM, HYD. 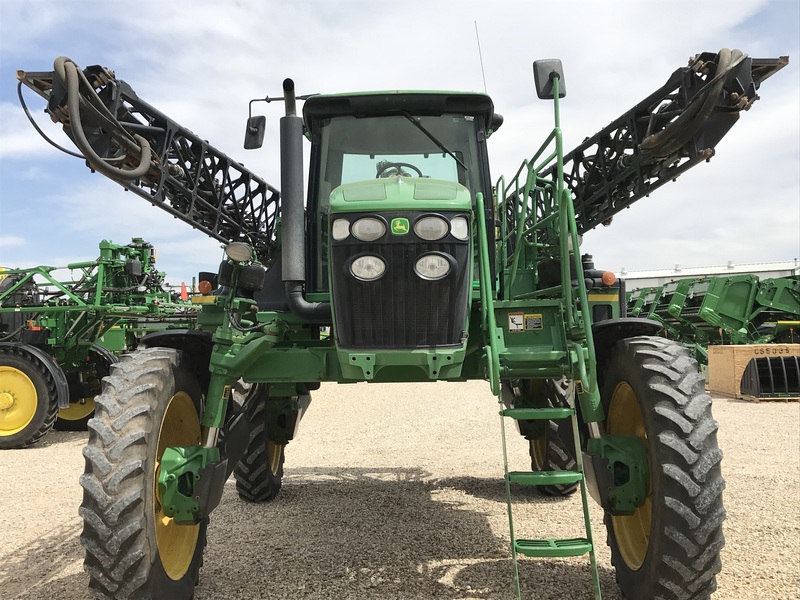 TREAD ADJ, AUTO AIR SPRING LEVEL, XNON LIGHTING, BOOM RETURN TO HEIGHT, 2630 DISPLAY. 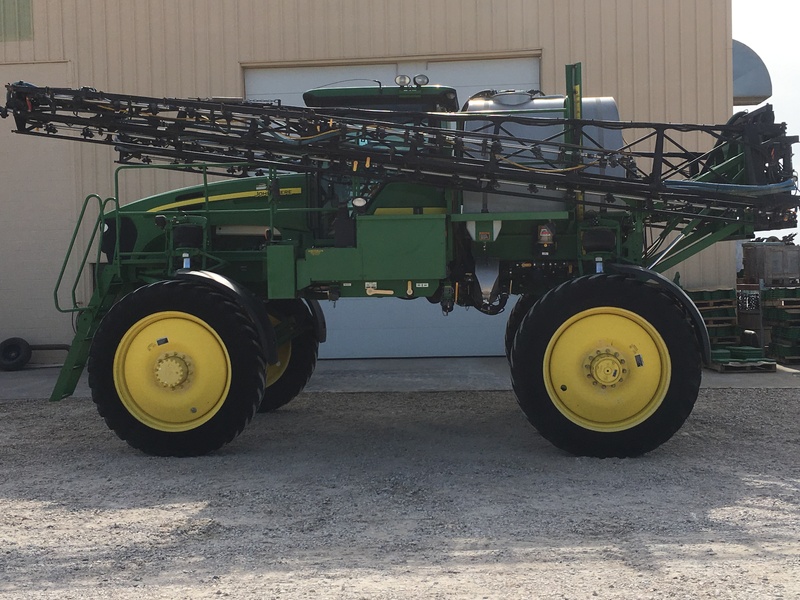 380X46 FRONT 20% REAR 40%, SS TANK W/ 2 IN QUICK FILL, 90 FT SS BOOM 20 IN SPACING, HYD. TREAD ADJUST, ON BOARD AIR, AUTO AIR LEVEL, FENDERS, XNON LIGHTING, BOOM RETURN HEIGHT, WHEEL MOTOR SHIELDS. 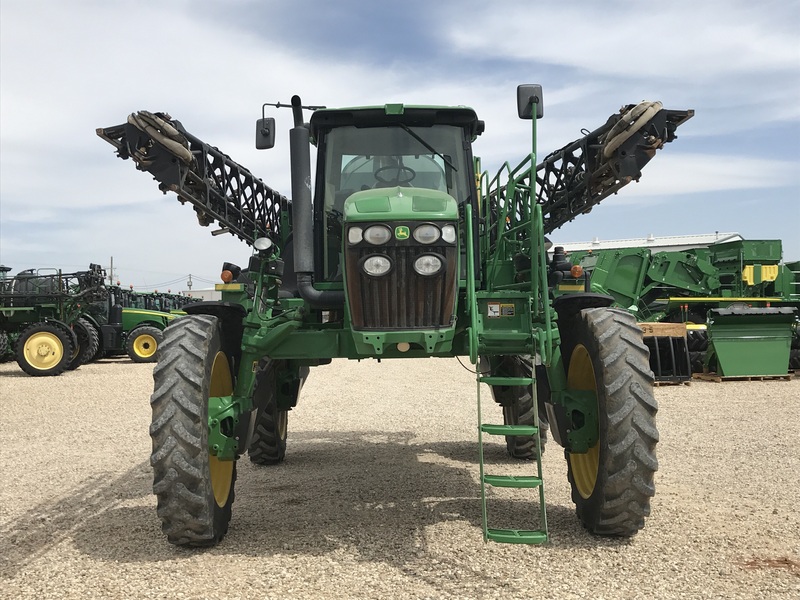 R4038 SPRAYER, IF380X46GY, PREM CVIII CAB, 120 FT. STEEL BOOM, 15 IN. 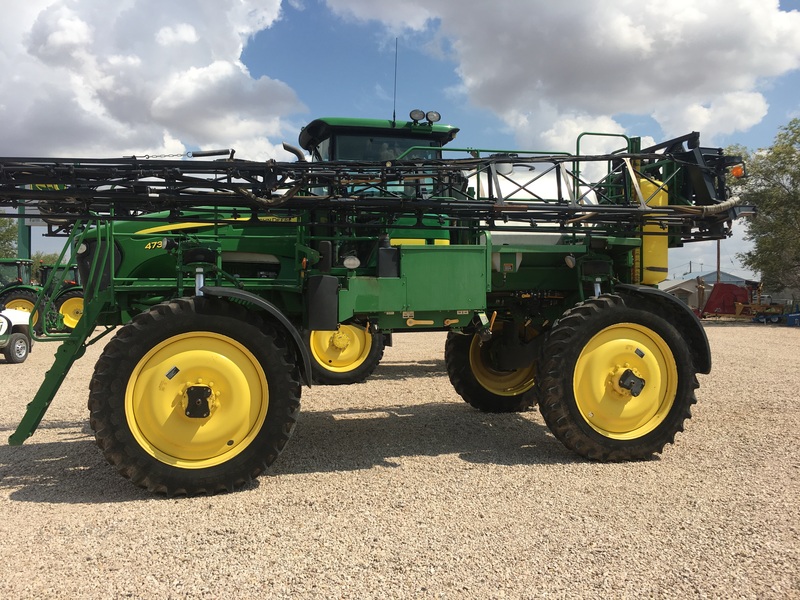 ON CENTER NOZZLE SPACING, SS PLUMBING, COMMAND CENTER PREM ACTIVATION, JDLINK CONNECT 5 YR, CONNECT MOBILE RDY, PREM RADIO, STD PUMP W/SINGLE FLOWMETER, SS EDUCTOR, MAN SOLUTION CONTROL, LESS FRONT FILL, LESS NOZZLE CONTROL, LESS AUTO BOOM LEVEL SYS, LESS WHEEL SLIP, BOOM AIR PURGE, LED FIELD LIGHT PKG, RH FENCE ROW NOZZLE, BEACON LIGHT, "COUNTY RESTRICTIONS APPLY TO PRICE"
R4038 SPRAYER, IF380 X 46 20%, PREM. 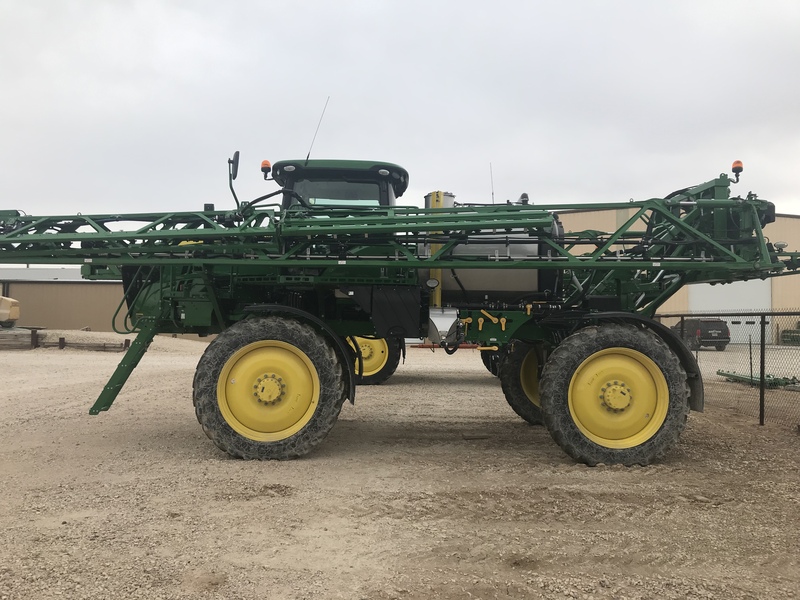 COMMANDVIEW II PLUS CAB, PREMIUM RADIO, STD PUMP W/ SINGLE FLOWMETER, SS EDUCTOR W/ SS TANK, MANUAL SOLUTION CONTROL, LESS FRONT FILL, 100FT SS BOOM, 20IN NOZZLE SPACING, BOOM AIR PURGE, XENON LIGHTING, RH FENCE ROW NOZZLE, BEACON LIGHTING.